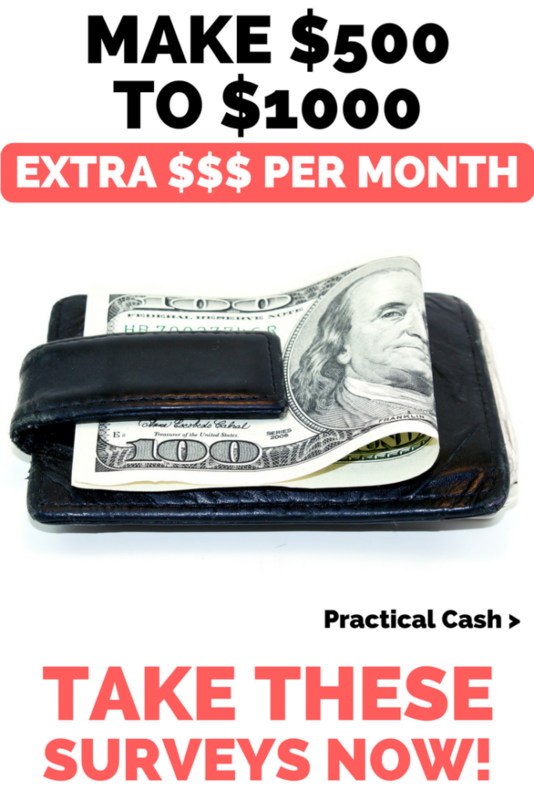 Do you need to know how to make $500 to $1000 extra per month taking online surveys? You CAN earn extra income taking online surveys, but the process isn’t for everyone. There are a lot of survey companies that are a waste of your time. The good news is that learning how to make $500 to $1000 extra per month isn’t hard. It’s really only $16.60 to $33 dollars per day. That’s totally doable for most people, even if you’re a busy mom or have a full-time job. Keep reading for reviews of two popular online survey websites you can use to learn how to make $500 to $1000 extra per month. Do I mind watching videos from advertisers? Am I willing to provide my email address for offers from advertisers? Do I have the writing skills to answer questions from advertisers in detail? 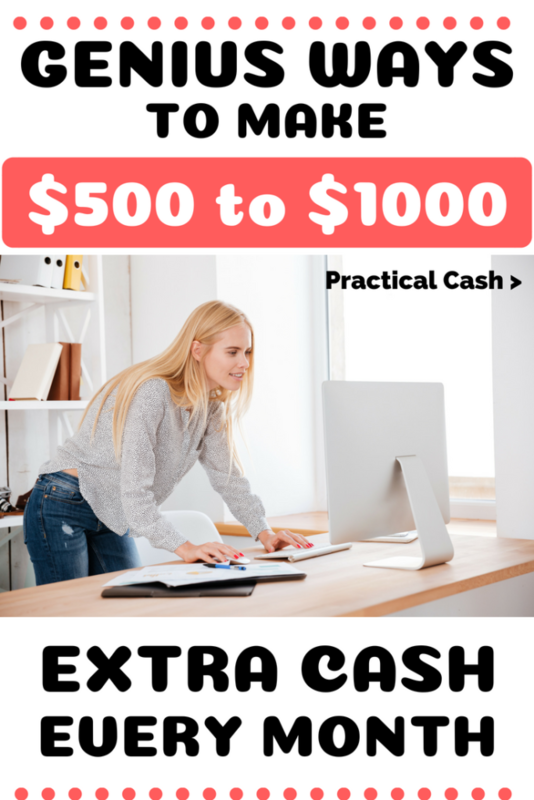 If you can answer yes to those questions, you can learn how to make $500 to $1000 extra per month taking online surveys. If you’ve never tried taking online surveys for money before, Swagbucks should be your first stop. Here’s my Swagbucks review. I’ve been a member since 2011, so I’m definitely a fan of earning extra income by taking online surveys through Swagbucks. As you’ll see in this Swagbucks review, this popular website is my first choice for how to make an extra $500 per month taking surveys. It’s super easy to use and sign up with Swagbucks. Click here to get started with Swagbucks and start earning an extra $500 per month or more. If you’ve never heard of it, Swagbucks is a site where you earn points for the normal stuff you do online – like watching videos and doing Internet searches. You can also sign up to answer surveys on Swagbucks. Advertisers want to get your feedback on their products and websites. And they’re willing to pay you for it! 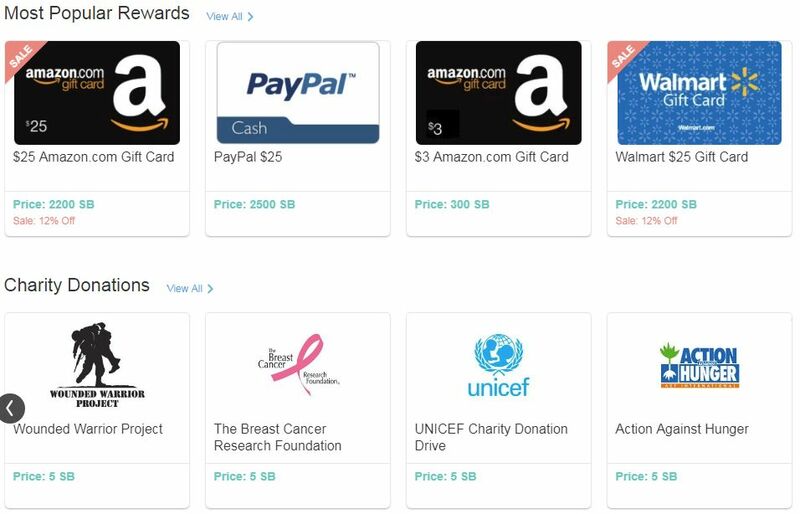 Here are just a few of the most popular gift cards on Swagbucks. Every task or activity you do on Swagbucks has a point value. Once you accumulate enough points, you can cash out for gift cards for retailers like Walmart or Amazon. You can even get cash payments straight to your Paypal account. Here’s a screenshot of a survey that took me about 2 minutes. I earned 5 Swagbucks just for answering a few easy questions (so easy you could do it while on hold or waiting for something to print). Set Swagbucks as your computer desktop homepage. That way you’ll be reminded to do the daily surveys and videos whenever you log on to your computer. Use Swagbucks to search the Internet! How many searches do you do in a day? You could be earning points every time by using the Swagbucks search engine. Download the Swag Button to your Chrome browser so you can search and get extra points without opening a separate site. Download the Swagbucks app to your smartphone so you can do searches from your mobile device and shop through the Swagbucks portal and get extra points to put toward your extra $500 per month. Every time you shop online, start at the Swagbucks portal so you can get extra points based on your purchases. Link your credit cards and store loyalty cards to Swagbucks. That way, even when you shop offline, you earn points through your Swagbucks account. Tell your friends about Swagbucks! Once you sign up, you’ll receive a referral link so whatever your friends earn, you receive a portion of. As of this writing, Swagbucks has already paid out over $271,112,042 in cash and free gift cards. So a lot of people are definitely using Swagbucks to learn how to make $500 extra per month in taking online surveys. Now that you’ve read my Swagbucks review and know how to make an extra $500 per month taking online surveys, double it and shoot to earn an extra $1000 by adding Survey Junkie to your list. I will be upfront and admit I have not been a customer of Survey Junkie as long as I have been a Swagbucks fan. However, as you’ll see from this Survey Junkie review, they are definitely legit. Click here to get started with Survey Junkie and start earning an extra $500 per month or more. If you’re reading this Survey Junkie review, you want to know how much it costs to join. The good news: Survey Junkie is totally free to join. And it’s easy and quick to sign up, too. However, you have to be 13 to join Survey Junkie. Whether you like online surveys, in-home product testing, or want to participate in focus groups, Survey Junkie’s simple and user friendly interface can help you earn points. With some focused effort, you can add an extra $500 per month from taking online surveys through Survey Junkie. Add that to your Swagbucks extra $500 per month, and you’ve got an extra $1000 per month without a significant amount of effort. Just a little bit of time daily (I usually do survey activities while I’m watching TV or waiting on hold on the phone or in line at the store) and you can easily meet your extra income and side hustle goals. Do you have any other websites you use to make an extra $500 or more per month by taking online surveys? Leave a comment with your favorite!